Businesses close their doors all the time. Perhaps your previous employer ran out of funds, lost interest in the field, sold the company to a competitor or retired to the Caribbean. No matter the reason, listing a previous employer on a job application can create a tricky situation. The wrong wording might indicate that you left the business for other reasons. Follow a simple format to ensure that readers clearly understand that the business closed rather than wondering if you were fired or left voluntarily. Listing previous employers on job applications helps demonstrate prior work experience. It also accounts for your time, demonstrating that you’ve maintained a regular work history without worrisome gaps. 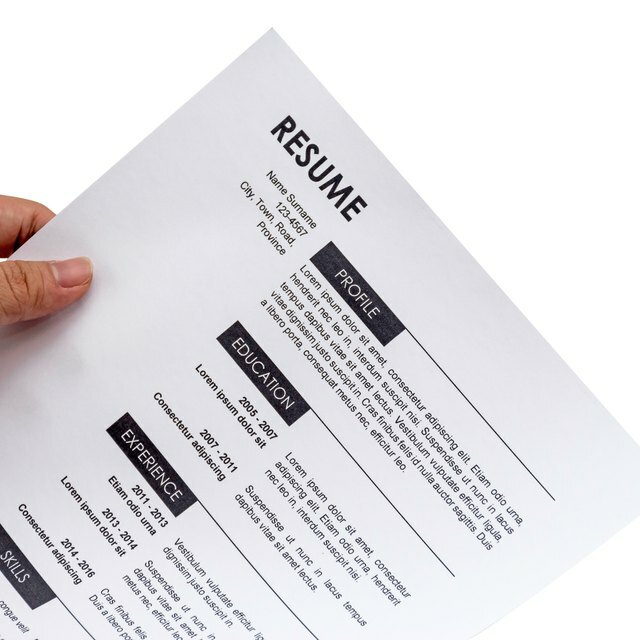 Not listing a previous employer on your job application is a mistake because it looks like you weren’t working during that particular time period — potential employers may wonder what you were doing during that unaccounted-for time. Indicating that the previous employer went out of business explains your reason for leaving, so that potential employers don’t wonder if you quit inexplicably or were fired. Some job applicants might be skittish about listing an out-of-business employer on a job application, fearing that this reflects negatively on individual work performance. Prospective employers are unlikely to assign blame for the company closure, especially if your position had little to do with management or finances. Rarely do businesses fail because of one particular employee, so identifying your previous employer as having closed for business doesn’t negatively impact your work experience. Don’t go into the "juicy details" if you are invited to a job interview after submitting an application; your prospective employer will note your professionalism and sensitivity. If your previous employer went out of business but you’ve remained in contact with him, it’s still fine to list contact information on the job application, if requested. Always ask permission from the previous boss before doing so; this gives her time to prepare a statement about your contributions.